Yesterday, the always funny Jon Acuff of Stuff Christians Like, wrote a post about the two possible responses that Christians might have to Glee. Either we love it or we hate it. There is no middle ground. 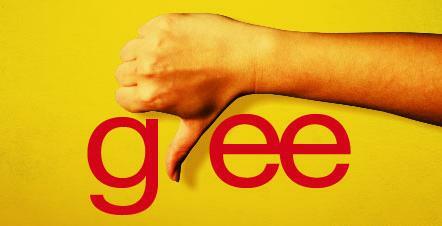 I, for one, have never watched Glee, not even a tiny little bit. I am somewhat proud of my lack of exposure to the phenom that is Glee. I have resisted many a trend–Lady Gaga, leggings (including the now infamous jeggings), and babywearing. Why, you may ask? Well, I pride myself in being a reject. Which is just another way of saying I’m not a follower, at least not by nature. To be clear, I am not a leader by nature either. I’m more of a neither. I live comfortably somewhere in between, as a kind of floater, free-agent, non-committal-type.